ISA District 12: Supporting automation in Ireland for forty years. This month June 2018 marks te 40th year of the ISA Ireland Section as it was chartered chartered on Friday 29th June 1978. A celebration to mark this and also to celebrate the election of Brian Curtis as 2018 President of the Society, was held last April - see picture below. 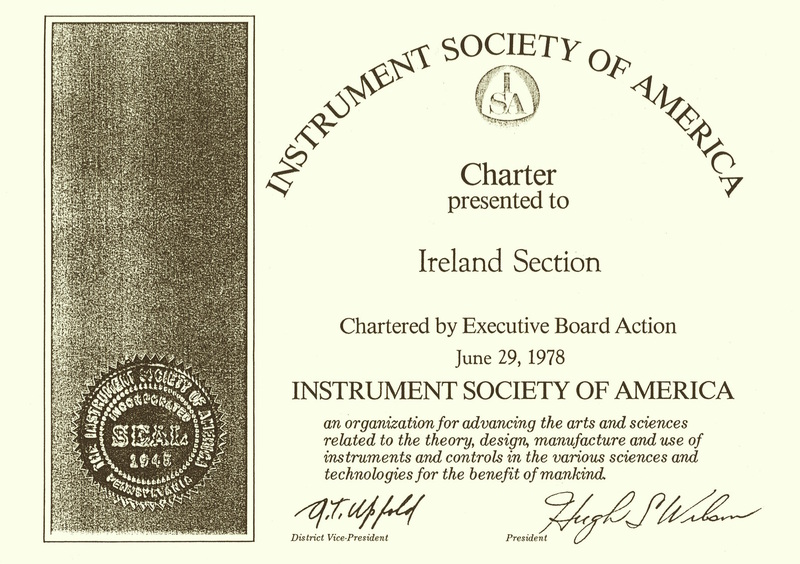 The ISA Ireland Section was formally chartered on 29 June 1978 after a number of steering committee meetings that had been held beforehand by the original founders so as to make sure that the criteria were met to set up a new ISA section. At that time the Ireland section was only the third section to be chartered in Europe and the eighth section to be chartered internationally. The name of the Society at that time was Instrument Society of America and this was changed later to reflect the international aspect of the organisation to the International Society of Automation. A number of former section presidents such as Bob Shine, Fred Gilroy, Maurice Radford, Liam McDonnell, Eoin Ó Riain, Frank Maher, John Power and Aidan Howard all played major roles in setting up the ISA Ireland Section. Mr Hugh Wilson who was worldwide ISA President for 1978 handed over the charter in person at a celebratory dinner held at the Silver Springs (Clayton) Hotel in Cork on 4 September 1978. 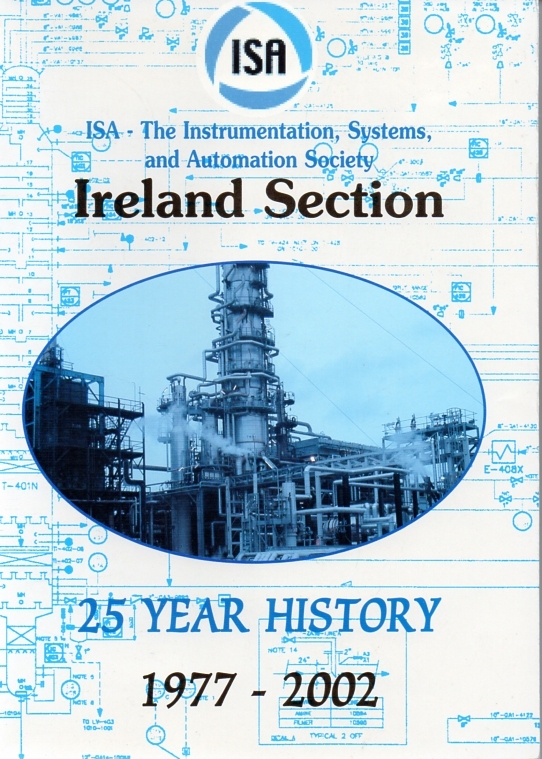 A lot of the detail about the early history of the section is outlined in a book authored by section historian Bob Shine and published in 2002, titled “ISA Ireland Section – 25 Year History 1977-2002”. In addition to the section past presidents that were involved in the initial steering meetings and securing the charter, other key people such as Dan O’Sullivan, Eddie O’Connell, Tom Nulty and Eddie Kenny played a major roles in getting the section up and running. The section still maintains a steady membership of more than 200+ members scattered throughout the island. 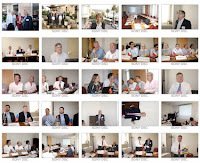 The ISA Ireland section has had a chequered history since its foundation forty years ago as it has continuously held numerous meetings, technical talks, conferences, symposia and exhibitions throughout the country. The section has always strived to satisfy the automation needs of a progressive country that was and still is undergoing a rapid industrial transformation on all fronts throughout many sectors of industry. The section has hosted a national prestigious Honours & Awards ceremony for 36 years of its existence. The opulent and elegant Common Room within the quadrangle of UCC has been the location of this yearly section flagship H&A event for the last twenty years. The section has been very fortunate to have hard working and dedicated committee members elected on a yearly basis to serve the membership and the profession whereby they tirelessly promote automation and control as outlined within the vision and mission statements of ISA. Over the past forty years of activity, 34 individuals had the privilege and honour of serving in the distinguished role of section president and five of these people have served two terms of office, namely: Fred Gilroy, Liam M Donnell, John Lotty, Alan Bateman and John Murphy. It is important to acknowledge the four past presidents who are sadly no longer with us but they are always in our thoughts, namely: Ger Dullea, Fred Gilroy, Maurice Radford and John Farrell. The ISA Ireland section has punched way above its weight for many years and this has not gone unnoticed by other ISA senior volunteers around the world. A number of past presidents have served on the global ISA Executive Board with the first of these been Maurice Radford who was District 12 (which at that time was all geographical areas outside North America) Vice President. Maurice was the face and spokesperson for ISA Ireland internationally some thirty years ago and he was a trail blazer for many years flying the Ireland flag with distinction. During the last few decades this mantle has been taken up by Declan Lordan, Billy Walsh, Kevin Dignam, Eoin Ó Riain and Brian Curtis. Additionally Dave O’Brien is the current District 12 (which presently covers Europe, Middle East and Africa) Vice President and thus continues a long tradition for the Ireland section. Brian Curtis, Declan Lordan and Brian Curtis have all served more than five years at different times on the global ISA Executive Board which is a major achievement for a section which has a much smaller countrywide population than most of its counterparts. 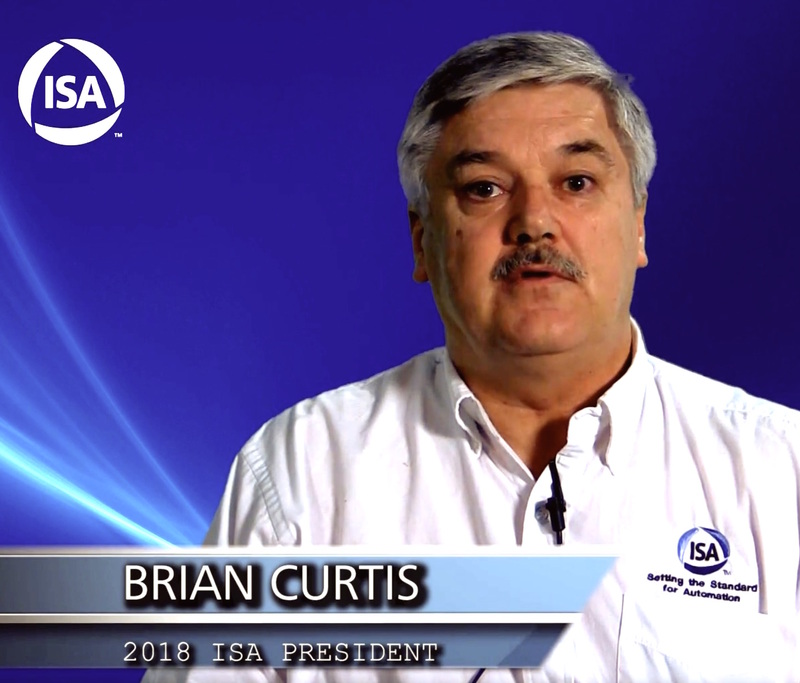 The pinnacle of this service and achievement is evident in 2018 as Brian Curtis is the worldwide ISA President which means that we have several reasons to celebrate this historic year for the Ireland Section. Report compiled by Billy Walsh, current Section Secretary.